Repetitive Tasks can be Automated on Windows with the help of Windows Automation Tools, by coding in a Programming Language or with the help of Microsoft provided tools and scripts. 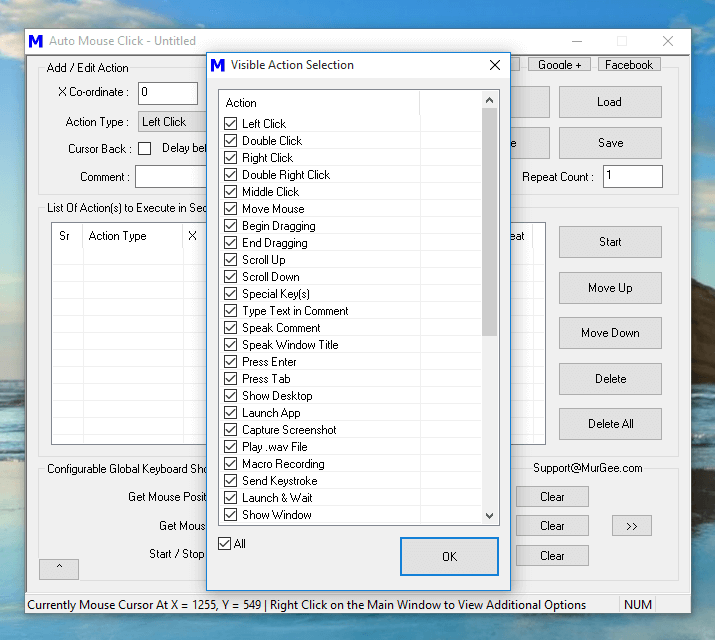 This post presents Windows Automation Application which can Automate GUI with the help of Mouse Actions, Keystrokes and other actions which are done manually. The best part of using the Automation Applications presented here is that all application are available as a Free Download, are easy to understand and you can start Automating your Repetitive Tasks within minutes. Other technologies provided by Microsoft are also discussed in this post which you can utilize to construct your Windows Automation Macro Script. First of all you need to plan the input required to your Computer and then evaluate the output generated in response to your Actions. For best results, divide the repetitive task into smaller tasks so that you can manage and control your complete task. Automated Testing of Software Applications is carried out in this manner where manual input can be tedious or error prone. Yes Automating a long task indeed saves you Time, Efforts and is less Error Prone. Once you have planned the input required, expected output of your Automated Input and have accounted for Error Conditions, you are ready to move on and proceed onto next step of selection of available technologies. Depending on the nature of your Repetitive Task, given below are few of the available tools and scripts to assist your in your Windows Automation Tasks. Use Batch Files (*.bat) which are basically text files with an extension of .bat and can be used to group multiple DOS Command or run Applications with Command Line. Execution of a .bat files can be done from Command Prompt, from another Batch Files or from an appropriate Application which can Launch or Execute Batch Files. Using API Provided by Microsoft (e.g Windows Automation API) and programming your own Macro using a Programming language like C++, VB.NET, etc. This requires coding and learning a programming language can take a while. Powershell is a Microsoft provided Scripting Language which offers your various ways to Automate Windows Applications or Automate Microsoft Windows itself. Learning Powershell may require lesser efforts as compared to learning a Desktop Application Programming Language like C++, VB.NET, C#, etc. 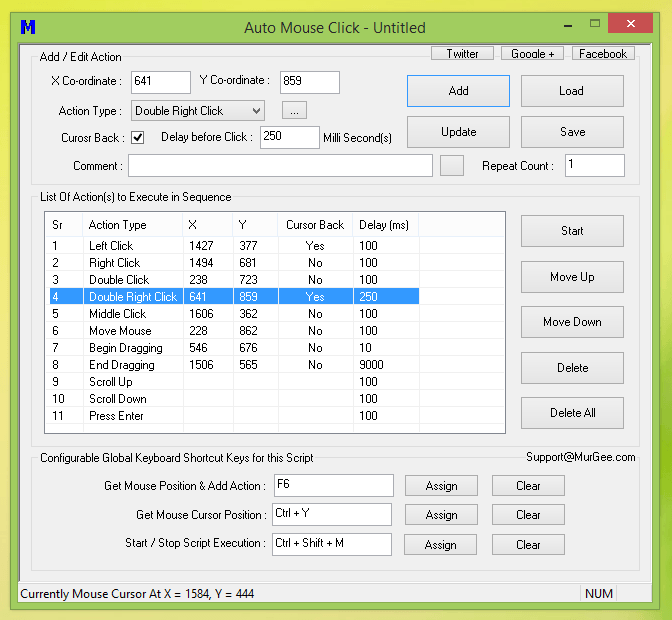 Use Windows Automation Tool titled Auto Mouse Click which can Automate Mouse Movement, Mouse Clicking, Key Pressing, Launching of Application, Capturing Screenshot and much more. 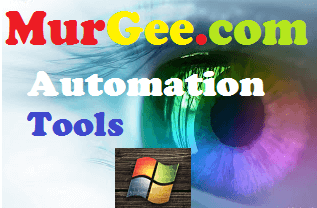 This Windows Automation Tool is provided on a Free to Download and try basis and has been featured in our Cheap Automation Software post of this blog. Lots of Video Tutorials are available for the Auto Mouse Click Application in the Software itself, however if your repetitive task requires lots of Keyboard Typing or pre-defined or distinct text sentences, do make sure to check out the Automated Data Entry post. Whether you need to Automate single Keystrokes, Combination of Keystrokes, Typing of Text Sentences or even Typing of Text Sentence by reading Data from a .txt File, this Windows Automation Application supports everything. 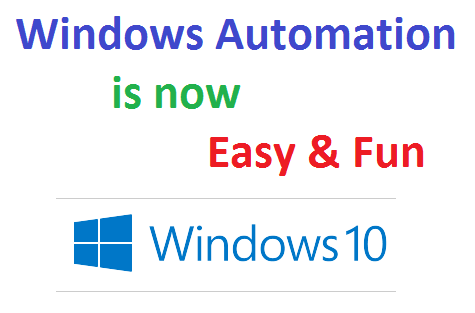 Watch quick feature tour of this Windows Automation or Download the Free Trial of the Software and Automate any Repetitive Tasks. Yes you can Automate Windows 10, Windows 8.1, Windows 8 and even Windows 7 with this small and yet powerful tool. The above Screenshot displays few of the available Actions which when combined together in a Script can Automate any Repetitive Task on your Windows Computer. Yes you can even group Actions in multiple scripts and manage individual Script to manage complex Tasks.